Packaging: I have to say that I absolutely adore the packaging of this highlighter. It comes in a round shaped ampule with unique design and resembles one of those age-old steel containers. My Verdict: I bought this in the champagne pop shade! There are three different shades and you can pick and choose as per your skin tone. It's gives a beautiful subtle shimmer and is extremely light weight. I love highlighters that are not too loud but can still prominent enough to make your face brighter and radiant. Overall, it gives a dewy finish and smooth texture, one you would expect from a liquid highlighter. 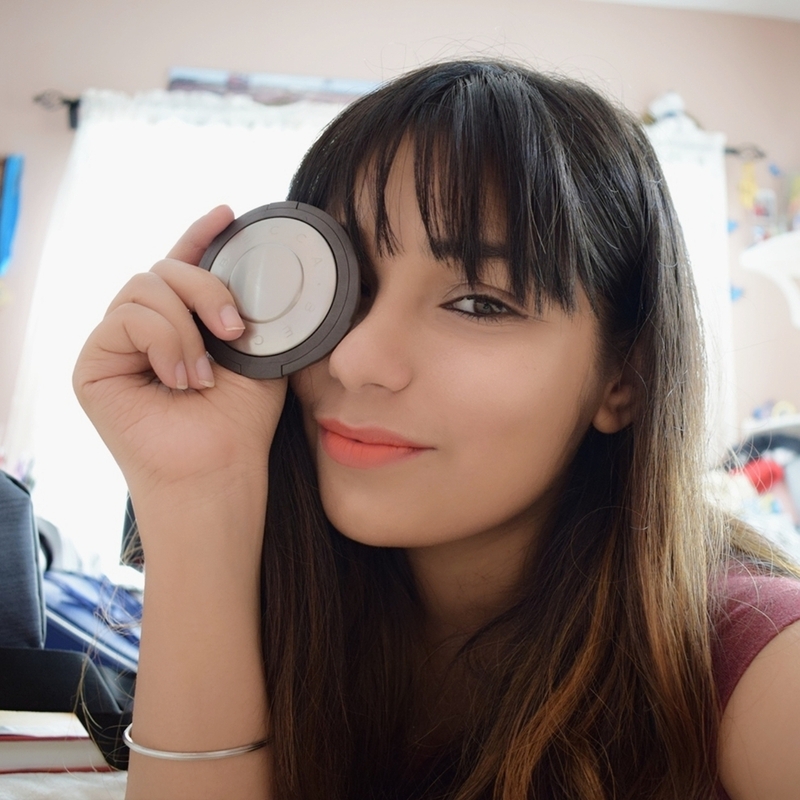 Unlike other pressed powder, it doesn't make your face look cakey or patchy. So, if you're not into liquid highlighters or that is a little too much for you, this pressed powder highlighter can be your good pick. When it comes to highlighter, it’s difficult to find one that can be used on everyday basis. Now that I found this one, I do like to apply a hint of this even on a regular day. It doesn’t give that extreme glittery look yet makes me shine through the day. The good thing is people do notice the glow on my skin and have also asked about the product that I am using. I love the fact that it is paraben free ! Not only that, it’s also sulphates and Phthalates free. That's something I am very particular about when it comes to beauty products. Also, it's one of the few prominent brands that stand against animal cruelty. Overall, it’s a must have in your vanity especially if you have uneven texture or dry skin. This product is known to smoothly glide into your skin and just blend in without giving you unwanted patches or uneven tone. Cons: One thing you must be careful about is the application, sometimes it can be overdone if not applied carefully. I always try to stick to minimal as that goes a long way and is enough to highlight your face. That said, if applied correctly, this is a great highlighter. Another con is if you are having a bad skin day or breakouts, it tends to show off that very easily. Price: $ 38 and totally worth it! Much better than the cheap drug store highlighter. Would I recommend it? Absolutely, go for it. Comes under my top 3 highlighters. 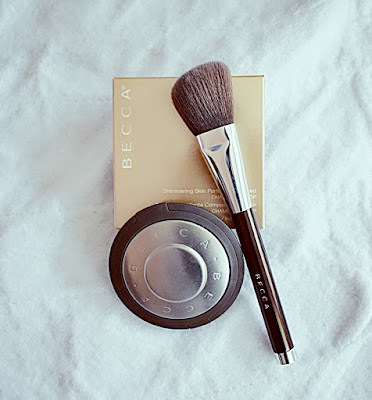 I am a big fan of Becca highlighters. They are so good in quality, so well pigmented and so looks so good on me. Really good and long lasting. I bought this one after doing my makeup lesson London by expert Lina, I am trying out new makeup items to improve my knowledge and skills. Lina is really good and best in my town.